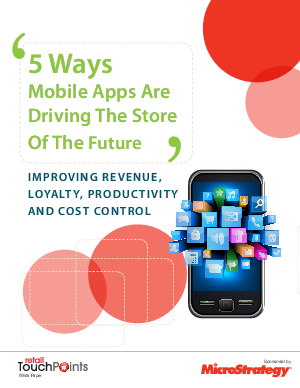 Improve revenue, loyalty, and productivity while controlling costs. It’s a given: Most shoppers are now armed with a mobile device when they enter a retail store. They are highly informed and expect retail employees they interact with to be at least, if not more knowledgeable about a store’s products, promotions, and services. Download this white paper to find out how retailers with a powerful, effective mobile app program in place can win the battle for shoppers’ eyes and ears — and wallets.